In addition to carefully selected used pianos we are proud to be factory authorized distributors of Wilh Steinberg Pianos. Wilh. Steinberg made this 30 minute video sometime in the 1920's. It shows some of life in Germany and some of the travels of Wilh. Steinberg to the current location in Eisenberg Germany. Ten minutes into the video there is considerable rare footage of pianomaking in the factory. We are putting together English over dubbing by the owner of Wilh. Steinberg. This should be available sometime soon. As a factory Direct Outlet, we offer the benifet of simplier overhead which means more value into service. 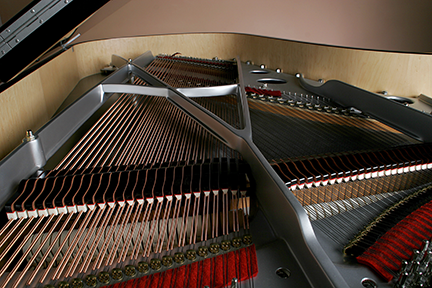 We have several Steinberg pianos here at our location for you to play. From Beyreuth, Germany and since 1852, Steingraeber & Söhne has made a very select few instruments for very discerning pianists. Steingraeber is and has always been family owned. A handfull of skilled artisans continue the tradition of Steingraeber & Söhne in the very same location they began at in 1852. Call or email and schedule time to play it.